Home staging floors is the best way to make sure that your residence is up to the rigorous inspection tactics of prospective buyers. Flooring is a crucial aspect of any home, be it a private house or apartment. Flooring is very personal and every individual seems to have different tastes and preferences which make creating universal appeal a difficult consideration for any home stager. However, when planned correctly, a well planned home staging design will bring out the best of the home’s features and enhance the floors throughout the space. This guide provides practical advice for perfecting the flooring surfaces in any home prior to listing it for rental or sale. Carpet is sometimes an asset, but more often, it is a liability. Recently, the popularity of wood flooring has overshadowed the demand for carpet by more than 4 to 1. However, there are some times when carpeting is still preferred. Families with young children often choose carpeting in some areas of the home to prevent injuries, as their little ones learn to walk and play. Other people prefer carpeting in the bedroom, but like a solid surface in the public areas, such as the living room and dining room. Personally, I recommend that if hardwood floors exist under carpeting, they should be exposed and refinished, especially if they are in good shape and only need minor enhancement to bring out their original beauty. Additionally, I tell all my clients to always remove carpeting from bathrooms and kitchens, as this is simply unhygienic and a real turn-off for potential buyers. Real hardwood flooring is always wonderful and is a perpetual buyer favorite in any type of home. Unfortunately, installing hardwoods can be rather expensive as a renovation project. If you have hardwood flooring in your home already, do everything to make it shine for buyers. 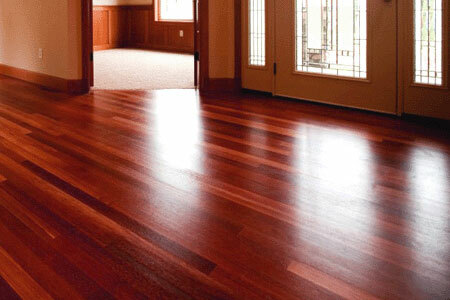 Refinish wood flooring, if needed, or simply polish and maintain it for optimal appeal. Laminate flooring is a cheap and simple fix for many flooring issues. Installing laminate floors is a perfect do-it-yourself project, but can also be put down by a professional in a matter of a few hours. Laminates are highly versatile and can be utilized virtually anywhere in the home for a beautiful look and feel which is easy to clean. I advise clients who are considering installing their own laminate floors to read up on the some tricks of the trade first, to prevent the boards from popping up from poor technique. I see this often and always cringe, since this unaesthetic condition will really defeat the best staging efforts. Truly solid surface flooring is also desirable in many applications. Obviously, in the kitchen and bath, these materials are needed to keep a clean and healthy home. If they are not there already, put them in now. Wood or laminate is fine in the kitchen, but the bathroom truly requires a non-porous and water-friendly surface. Carpet should be avoided in these areas at all costs. Heating components make a nice touch under tile floors, especially in bathrooms and in cool climate regions. Tile and slate are particularly popular in tropical areas, since they are naturally easy to maintain and humidity friendly. Stained concrete is an interesting high-end option in many luxury homes, but even basic concrete flooring can be painted in a basement or garage, giving it a lovely appearance. Flooring is the literal foundation on which your home décor is constructed. Take the time to inspect all flooring surfaces in your home and repair or replace any serious issues before listing the home for sale. These small fixes will earn you far more equity than they cost. Worn and dirty carpet is the biggest problem in many homes. In these cases, ripping up that old tattered rag of a floor and replacing it with nice new laminate or tile will literally earn you a huge return on investment. Be sure to check for cracked tiles or grout in the bath and kitchen and fix these common concerns, as well. These repairs are super easy and are ideal for DIY projects. To learn more about preparing your home for sale with flooring improvement techniques, contact a qualified home stager or flooring installer today.